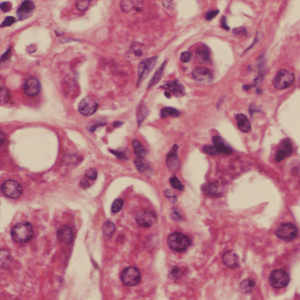 PureFocus850 is a revolutionary laser autofocus for biological and industrial imaging. 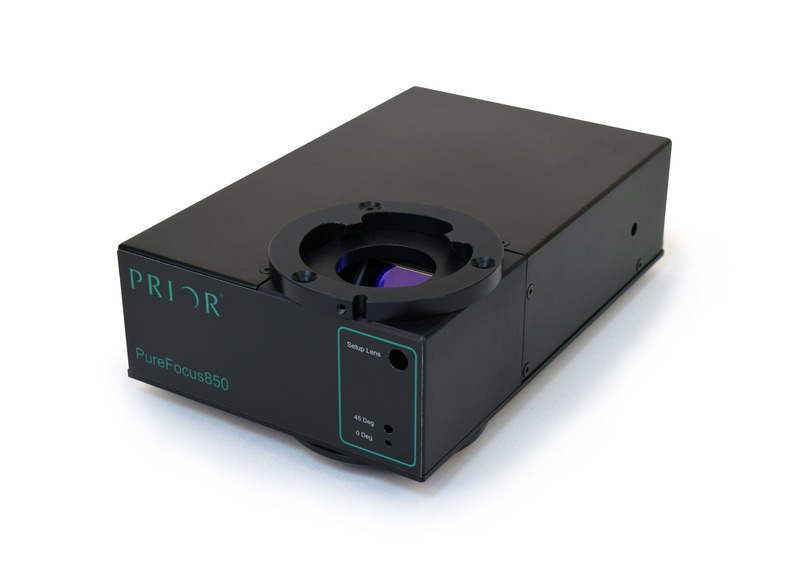 Prior Scientific’s PureFocus850 combines advanced optics and intelligent in-built microprocessing to provide a real time focus system for infinity corrected optical systems. 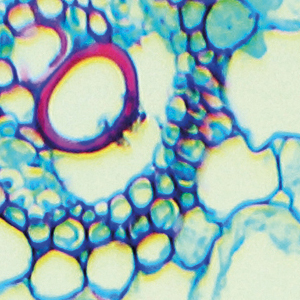 A motorized offset lens allows real-time adjustment of the imaging depth into the sample, continuously holding the precise distance between imaging focal point and a reference boundary of choice. The PureFocus 850 is easily adaptable to any optical system, it is suitable to both upright and inverted microscopes. 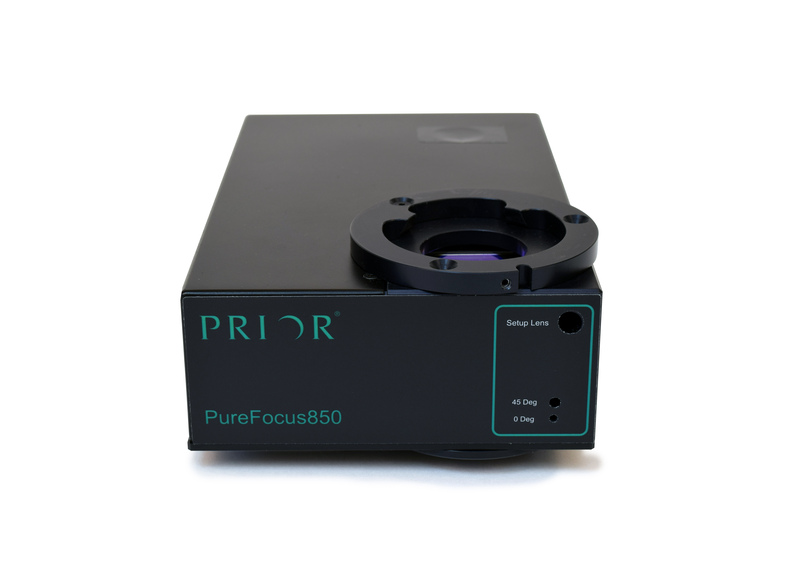 The patent pending PureFocus 850 system allows powerful automated autofocus functionality to be added to existing microscope systems by installing the unit into the infinity space (between objective and tube lens). 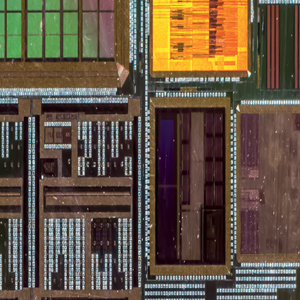 The PureFocus850 is an integrated unit comprising of an IR laser diode, precision optical components, detector and signal processing electronics with on-board micro controller. 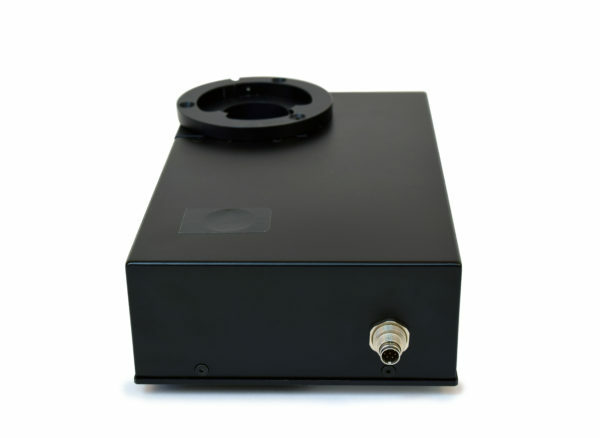 Outputs directly drive a step motor or provides output for servo or Piezo drives. 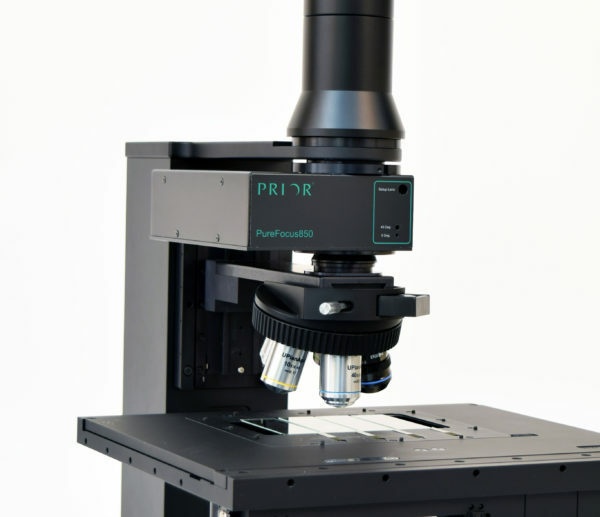 With the ability to autofocus on different interfaces including slides, glass bottom dishes, flow chambers and many more.